As expected, the Federal Reserve raised interest rates on Wednesday. More hikes are anticipated for this year, but now there is growing concern about the possibility of an additional “stealth” rate hike. What is a “stealth” rate hike and how would it be carried out? Here’s what you need to know. 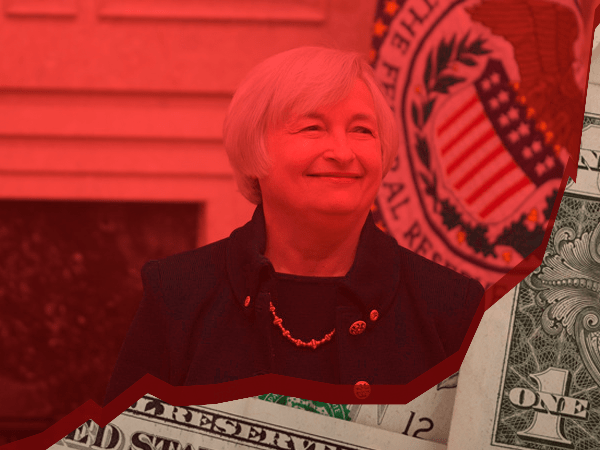 What Does Yellen Have Up Her Sleeve? Moving on an aggressive new strategy to raise rates multiple times in 2017, just this week the Fed raised the key interest rate for the third time since the Great Recession. With rates now raised a quarter-point to one percent, market watchers are trying to figure out what will come next. The central bank has promised that more rate hikes are on the way, and experts are already concerned about the impact those hikes will have. But now there’s a new factor coming into play: the possibility of a “stealth” rate hike sometime in the next 1-2 years. What makes it a “stealth” hike? Well, it’s not actually an official rate hike — but it would have the same impact as one. As the market expects the Federal Reserve to increase rates three times this year, the central bank could put a fourth on the books in a way that’s not so obvious. An additional increase — call it a stealth hike — would involve a concerted reduction in the Fed’s balance sheet. The balance sheet holds the various bonds and other financial instruments the Fed has purchased over the years, and it has ballooned to $4.5 trillion. Under current policy, whenever a bond held by the Fed matures, it reinvests the proceeds it receives and rolls over the debt. By doing that, it keeps the central bank as a player in the bond market, which in turn creates demand and stifles supply to keep interest rates low. Reversing the reinvestment policy, then, would have the opposite effect. Officials have begun some discussion in recent months about balance sheet policy but have not offered details or a timetable. The impact of a so-called “stealth” rate hike — carried out by offloading the Fed’s positions in the bond market — wouldn’t necessarily have subtle results. First of all, some experts say the move would be equivalent to two quarter-point rate hikes. To give you an idea of what that means in today’s economy, the Fed has made only three quarter-point hikes since the last major financial crisis — the third of which occurred just three days ago. If such a “stealth” hike is implemented, it would likely bring with it a strong change — with effects equivalent to approximately 7 years of central banking policy — all at once. Even if done by Fed officials under the best of intentions, there’s no way to know for certain how the market would react. If the Fed acts on this “stealth” hike and things go awry, it could mean abrupt shifts in valuation of the dollar, stability of the stock market, and overall uncertainty in the economy. Are your savings protected from the shock that could come? If not, now is the time to act.